Matt Stout, a 25-year-old professional poker player originally from Bayonne, NJ now residing in Las Vegas, was the first player eliminated. Stout was the chip leader or near the top during much of the first two days of play. But he took a few beats late on Day Two and arrived at the final table at a decided disadvantage – ranked seventh of nine players. Stout lasted about an hour before making his final stand with AQ, which lost a race to pocket jack. Stout, who won a WSOP Circuit gold ring at Caesars Atlantic City in 2008, collected $19,371 for ninth place. He now has nearly $1 million in career live tournament earnings. Aaron Been, a 23-year-old former University of Florida student who is now a professional poker player, was eliminated about two hours into play and finished in eighth place. He ran low on chips and moved all in with pocket nines, which lost to pocket tens. Been, who has cashed three times previously at the WSOP in Las Vegas, added $23,319 to his poker bankroll. He now has nearly $300,000 in career tournament earnings. Anthony Yeh, a 27-year-old professional poker player from Las Vegas went bust about two-and-a-half hours into play. He was desperately low on chips and moved all in on his final hand with AJ, which lost to AK after a king flopped. Yeh, who has numerous cashes in tournaments held mostly in the Los Angeles area which add up to nearly $1 million in earnings, added another $28,700 to his bank account. 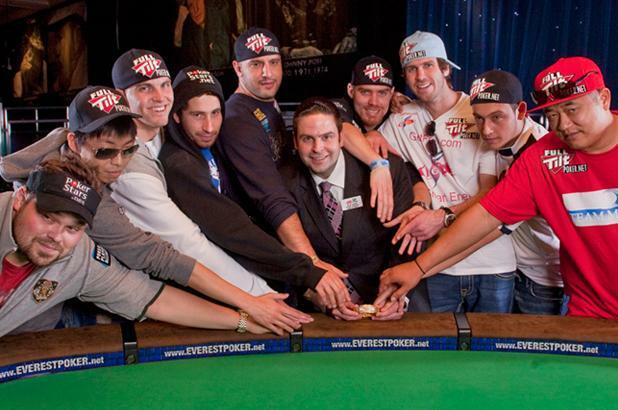 Steve O’Dwyer, a 28-year-old professional poker player from Las Vegas, expired about four hours into Day Three. He went out in a blaze of glory, with pocket sevens up against AK suited. O’Dwyer flopped a set when a seven appeared, but three spades on the flop also gave his opponent the nut flush. O’Dwyer desperately needed the board to pair, which did not happen. So, Dwyer instead ended up with his best WSOP Circuit finish ever and collected $35,875 for sixth place. James Carroll, a 23-year-old professional poker player from Henderson, NV went out after four hours elapsed at the final table. He took an awful beat, holding AT in an all-in situation against A9. A nine flopped, which effectively crushed Carroll’s hopes of a first WSOP-related victory. This was Carroll’s first time to cash in any WSOP event, although he has cashed and final tabled several events held elsewhere. Fifth place paid $44,844. Diego “Mamba” Sanchez, a 26-year-old poker player from Mexico City, Mexico nearly became the first WSOP Circuit Main Event winner in history from south of the border. He lasted about five and a half hours before busting out with pocket 5s, which lost to Brock Parker’s AK. The final board showed both an ace and a king, eliminating Mamba. He has performed well in a number of events elsewhere, but this marked his best WSOP finish to date. Fourth place paid $57,400. Brock Parker, a 28-year-old Magic-turned professional poker player from Silver Spring, MD busted out six hours into play. He became short-stacked and tried to steal a round of blinds and antes with QJ. But Andrew Lichtenberger woke up in the blind holding AK. An ace came, which knocked out the two-time WSOP gold bracelet winner. 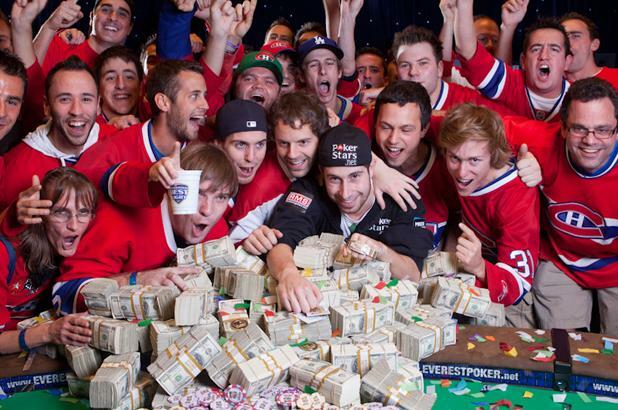 Parker, winner of two events, both Six-Handed No-Limit Hold’em at last year’s World Series, collected another $73,544 in prize money, which catapults his WSOP earnings close to $1 million. 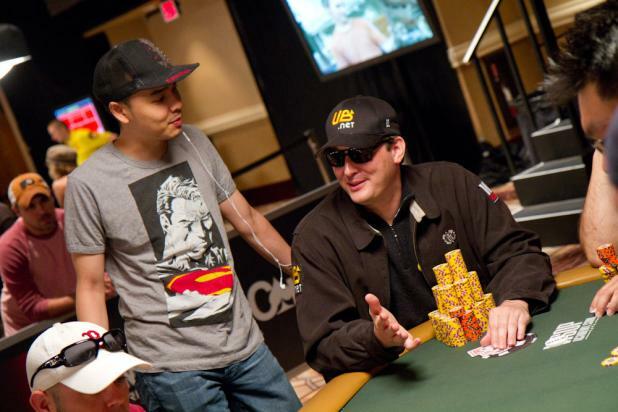 Parker has numerous previous cashes at the WSOP and WSOP Circuit. Dan Casetta, a 39-year-old businessman from Los Gatos, CA was the runner up. Casetta had previously enjoyed an astounding number of wins and cashes, almost all of which have taken place at casinos in the San Francisco Bay area. Casetta has entered about 200 tournaments to date in what he describes as a serious part-time vocation, and has cashed in more than one-third of his tries. He has 19 wins in that span, arguably as good a record as anyone in tournament poker. Yet despite his success in many lower buy-in tourneys, he had not made the final table of a major tournament until this finish, which was admirable both for the amount he won which was $114,800 and the noble fight he put up against a proven short-handed specialist. Casetta, who has co-written a book on sales and motivation and conducts business seminars around the country, enjoyed his best WSOP-related cash with this second place finish. Perhaps just as important, Casetta earned a lot of respect by those who watched over three days and demonstrated he’s a player who can play as well as anyone. When heads-up play began, Andrew Lichtenberger enjoyed about a 2 to 1 advantage over Dan Casetta. The duo battled for a near epic five hours, during which Casetta reversed the count in his favor two times. But the momentum swung back in Lichtenberger’s direction when he doubled up with pocket tens versus pocket fours in an all-in situation, which gave him about a 3 to 1 chip edge. Closing the victory proved to be the most difficult task for Lichtenberger. But the final moment of satisfaction came after more than 150 hands when Casetta was dealt . Lichtenberger was dealt . Casetta moved all in pre-flop. Lichtenberger, with about a 6 to 1 chip advantage at the time, called. The final board showed , which meant Lichtenberger’s pair of kings took down the last pot of the night. Andrew Lichtenberger, a 22-year-old poker pro from East Northport, NY became the latest WSOP Circuit Main Event champion. He won this year’s Caesars Palace title and collected $190,137 for first place. He also received the WSOP Circuit gold ring, plus an entry into this year’s WSOP Main Event. His combined poker tournament winnings now total more than $1.1 million in just over a year of poker play. A post-tournament interview with Lichtenberger can be seen at the link listed above. The WSOP Circuit at Caesars Palace has now concluded. This was the fifth year of events, which included 14 gold ring tournaments. This was the tenth WSOP Circuit stop (of 11) of the 2009-2010 season. Previous tournaments were held in Chicago, Southern Indiana, Lake Tahoe, Harrah’s Atlantic City, Tunica, Council Bluffs, Caesars Atlantic City, Harrah’s Rincon, and Harrah’s St. Louis. The final stop of the season runs May 7-20 at Harrah’s New Orleans. About the author: Nolan Dalla's work is found all over WSOP.com, as he is the Senior Writer for poker's longest-running poker series and has contributed to the site since 2005. He is also the longtime Media Director of the World Series of Poker. He's become the lone link from poker's modern age back to the old days when the WSOP was played at Binion's Horseshoe – where Dalla served as the casino's Director of Public Relations.